Ramsey Hardware & Paint has the electrical products you need when it comes to your at-home electrical project. 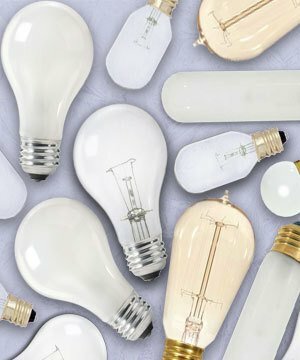 We offer a great selection of light bulbs and LED lights, including many hard to find types. We have a wide selection of switches, adapters and timers. Don’t forget to pick up an extension cord and power strip while shopping. You can never have too many! We carry products from General Electric, Sylvania, Westinghouse, EarthTronics, and many more. Consider us your one-stop shop for all of your electrical product needs. Need help with your electrical project? Just ask one of our helpful associates. Maybe you’re not sure which electrical product is right for your needs, or perhaps you require a direct item comparison. We’re experts on our lighting and electrical products and are always available to assist you with any questions you may have. You can trust that when you come to Ramsey Hardware & Paint, you’ll find a knowledgeable staff ready to help you with any and all concerns. Check out our large selection of electrical and lighting products or get in touch with us today!